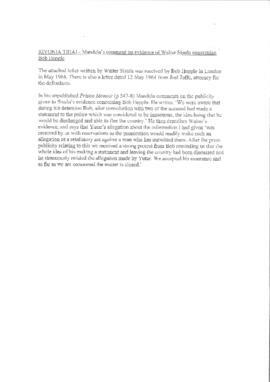 Includes 4 textual items: copy of article "Rivonia: The Story of Accused no. 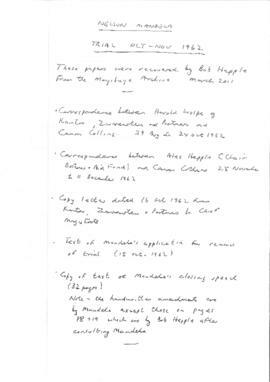 11 by Bob Hepple, reprinted from Social Dynamics 30:1 (2004); Note by Hepple (papers listed in the note were not received); Document Rivonia Trial - Mandela's comment on evidence of Walter Sisulu and copy of letter by Sisulu to Hepple; Programme of ANC 70th anniversary concert, London. 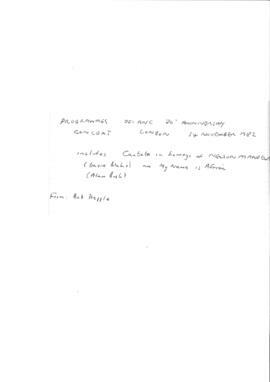 Includes Cantata in homage of Mandela.